All praise be to Allaah who completed the religion for us, perfected the blessing on us and chose Islaam as our religion. May the blessings and peace be upon His servant and Apostle, who called upon people to obey his Lord and cautioned against extravagance, innovation and disobedience; And may Allaah bless his posterity, his companions and those who follow his footsteps till the Day of Judgement. It is not permissible to celebrate the birthday of the Apostle (sal-Allaahu ‘alayhe wa sallam) (May the blessings and peace of Allaah be upon him), or somebody else. In fact, it must be stopped, as it is an innovation in the religion. The Apostle of Allaah (sal-Allaahu ‘alayhe wa sallam) neither celebrated it, nor commanded others to do this for himself. or for any one who died before him amongst the Prophets, for his daughters his wives, or his other relatives. The rightly guided Caliphs the Companions of the Prophet (radi-Allaahu ‘anhum) or the successors who rightly followed them did not celebrate this event, nor did any one of the muslim scholars in the centuries before. They knew the Sunnah of the Prophet (sal-Allaahu ‘alayhe wa sallam) best, they loved him more, and followed the Shari’a better than those who came after them. If celebrating his birthday was a good deed, they would have done it. We are commanded to follow and forbidden to innovate. This is because of the perfection of the Islaamic religion and the Sufficiency of what Allaah and His Messenger have given us and are accepted by Ahl-al-Sunnah wal-jama’at- The Muslim community of the companions and those who followed them in the best way. Thus, these traditions contain a strong caution against innovations and a warning that such an act is a deviation from the right course. The Prophet (sal-Allaahu ‘alayhe wa sallam) warned the people of the gravity of these innovations and of their bad consequences. There are many traditions adduced in this connection. His Prophet (sal-Allaahu ‘alayhe wa sallam) passed away only after he had imparted the complete message of Allaah to the Ummah as well as his legislations concerning sayings and deeds. He also stressed that all things invented by people and then attributed to the religion of Islaam are innovations and to be rejected, even if their inventors did so in good faith. 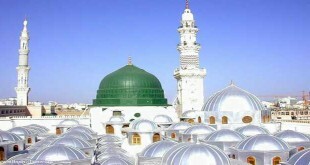 To celebrate the anniversary of the birth of Prophet and the others, means that the Religion is not perfected by Allaah (the Glorious, the Almighty) for this Ummah, and the Apostle did not impart to the people what was necessary regarding their religious duties, till these late ones appeared and invented in the religion what is not permitted by Allaah, thinking that this would bring them nearer to Allaah. 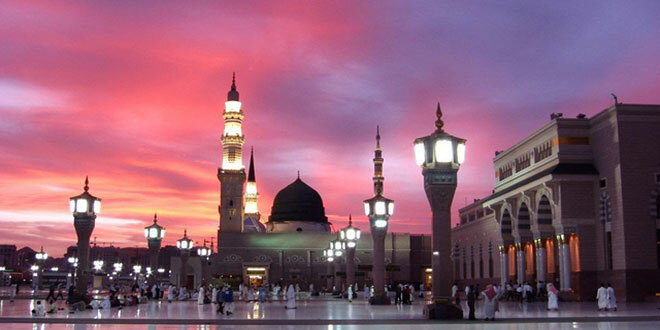 It is well-known that our Prophet (sal-Allaahu ‘alayhe wa sallam) is the best of all the prophets, the last and the most perfect of them regarding the way he conveyed the message and advised his people. Referring this issue back to the Book of Allaah, we find it ordaining upon us to follow the Messenger of Allaah (sal-Allaahu ‘alayhe wa sallam) in his Commandments and warns us against what ever he prohibits. Furthermore it tells us that Allaah has perfected the religion for the people. So, as long as Milaad is not among the teachings of the Prophet (sal-Allaahu ‘alayhe wa sallam), it cannot be a part of the religion which Allaah has perfected for us and asked us to adhere to by following the Prophet. Again when we refer this issue back to the Sunnah, of the Messenger of Allaah (sal-Allaahu ‘alayhe wa sallam), we do not find either the Prophet or the Companions doing it by themselves or asking others to do it, So it becomes evident that Milaad, is not a part of religion, rather one of innovations and blind immitation of the people of the book, i. e. the Jews and the Christians in their festivals. With this argument in mind, it becomes crystal clear for everyone having the least insight and inclination towards truth and justice, that celebrating any birthday has nothing to do with Islaam. It is rather among the innovations which Allaah and His Messenger (sal-Allaahu ‘alayhe wa sallam) warned against emphatically. Undoubtedly, this shows the weakness of their faith, their short-sightedness, and the deeply ingrained rust on their hearts because of sins and disobedience. We ask Allaah’s protection for us and for all the Muslims. It is even more astonishing to note that some people believe that the Messenger of Allaah (sal-Allaahu ‘alayhe wa sallam) is present at Milaad. Consequently they stand to greet and Welcome him. That is not only a sheer lie but a worst form of ignorance, as the Prophet (sal-Allaahu ‘alayhe wa sallam) shall neither come out of his grave before the Day of Resurrection, nor shall he meet the people or attend their meetings. Instead, he shall remain in his grave till the Day of Resurrection while his soul rests at the highest of the high with his Lord in the most exalted and highest place. The aforesaid evidences from the Qur’aan and Hadeeth prove beyond doubt that the dead people will come out of their graves only on the Day of Resurrection. All the scholars of Islaam agree upon this. A Muslim should be aware of these things and must not be easily misled by the innovations and the superstitions created by the ignorant people with no authority from Allaah at all. It is prescribed on all times, particularly at the end of each prayer. It is held obligatory at last Tashahud of each prayer by most of the scholars. It is strongly required at a number of occasions such as immediately after Adhaan, at the mention of the name of the Prophet (sal-Allaahu ‘alayhe wa sallam), during the day of Friday and the night preceding it according to a host of Ahadeeth. How sad it is to see some devoted Muslims, known for their strength of faith and love for the Prophet (sal-Allaahu ‘alayhe wa sallam) organizing such innovatory celebrations. 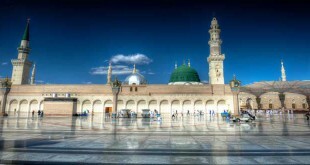 The love of the Prophet (sal-Allaahu ‘alayhe wa sallam) is not reflected by the celebration on his birthday, but by obeying him, believing in his teachings, keeping away from what he prohibited and by worshipping Allaah in the way he prescribed for us. The *******yya, as the writer tends to put it, are not new in rejecting all such innovations. Their creed is to hold fast to the Book of Allaah and the Sunnah of His Messenger (sal-Allaahu ‘alayhe wa sallam): to follow his footsteps and those of his rightly guided successors: to believe and practice what was propounded by the virtuous predecessors and the Imams of learning and guidance who were capable to issue religious injunction concerning the knowledge of Allaah, and His attributes of perfection and dignity as shown in the Glorious Book and the authentic traditions of the Prophet and as wholeheartedly accepted by his companions. The *******yya believe in them, the way they are reported without any alteration, personification, examplifying or negation of such attributes. They stick to the way of successors and their followers from among the people of learning, faith and piety. They believe that the foundation of the faith is to bear witness that there is none to be worshipped except Allaah and that Muhammad is the Messenger of Allaah. To them, this is the root of faith and one of its most exalted branches as well. Thus the creed of the *******yya is based upon fulfillment of witnessing that Muhammad is the Messenger of Allaah and completely abandoning all innovations, superstitions and whatever goes against the Sharee’ah. This is what Shaykh Muhammad bin Abdul Wahhab – may Allaah have mercy upon him – believed and invited others to believe. Whoever accredits to him anything contrary to it, does not only lie but commits a great sin and claims what is totally unfounded. He will, no doubt, receive what Allaah has promised to all the fabricators of lies. The Shaykh has shown – through a series of his well-known treatises and scholarly books on the topic of the Declaration of Unity: Laa Illaaha ill’Allaah – that no one deserves worship except Allaah the Almighty and that this type of worship should be devoid of all sorts of SHIRK whether big or small. Anyone who is aware of these writings, his way of preaching and calling people to Allaah and of the way of his pupils and disciples, can easily find out that his approach was not different from that of our virtuous predecessors, the great Imams of learning and guidance. Indeed, he has propounded what they did throughout their lives concerning the worship of Allaah Alone and leaving all innovations and superstitions aside.